Paddy Power and Betfair have floated a multi-billion pound merger that would create one of the biggest betting firms in revenue and scale. The two are still hammering out terms of the all-share deal, which will likely be worth more than £5bn, but said the agreement had "compelling" strategic logic. The combined entity will be called Paddy Power Betfair Plc, but would keep the two "distinctive and complementary" brands and pursue a dual brand strategy in Europe. Marketing understands CMO Gav Thompson will be staying in place, although talk of cost synergies suggests there will be job cuts. 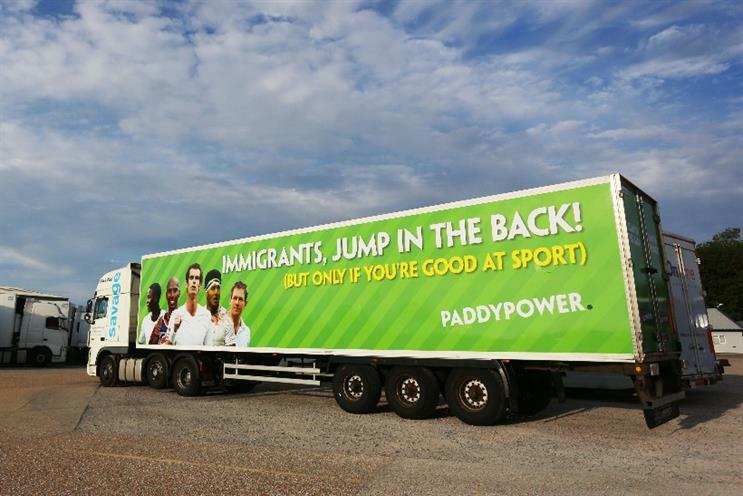 Paddy Power jokingly hinted at the move in July, after rivals Ladbrokes and Coral merged. Hot on the heels of the Ladbrokes/Coral merger, we can exclusively reveal that we have merged with Betfair. Our new name is Betty Power. Should the deal go ahead, Paddy Power shareholders would own 52% of the company, while Betfair shareholders would take 48%. Paddy Power chairman Gary McGann and Betfair CEO Breon Corcoran will become chairman and CEO respectively of the overall group. Paddy Power CEO Andy McCue will become COO, while Betfair CFO Alex Gersh will take on the same role for the group. The news comes after a flurry of activity in the gambling market, with Bwin.party also up for sale and likely to go to either GVC or 888. The new firm’s combined value would leave current number one, William Hill, trailing behind. Paddy Power this morning reported a 33% rise in operating profit to €80m (£58m) for its interim half-year results. Growth was largely driven by mobile and retail, with the former accounting for 67% of all online revenue. In June, Betfair posted strong results for the 12 months to the end of April, with pre-tax profits up 66% to £101m. At the time, Corcoran attributed the brand’s wide appeal to its successful ‘Tap Tap Boom’ campaign. Meanwhile Betfair Poker, with its characteristically loopy humour, has been commenting on the news. A merger is more than just shares or money, there's also this potion made from tree bark that you have to drink to fuse your souls together. Ok. They're saying we don't "have" to drink the soul merge potion, but it would be "favourable" when it comes time to review our contracts.